Mallorca's number one boat party is ready for you! 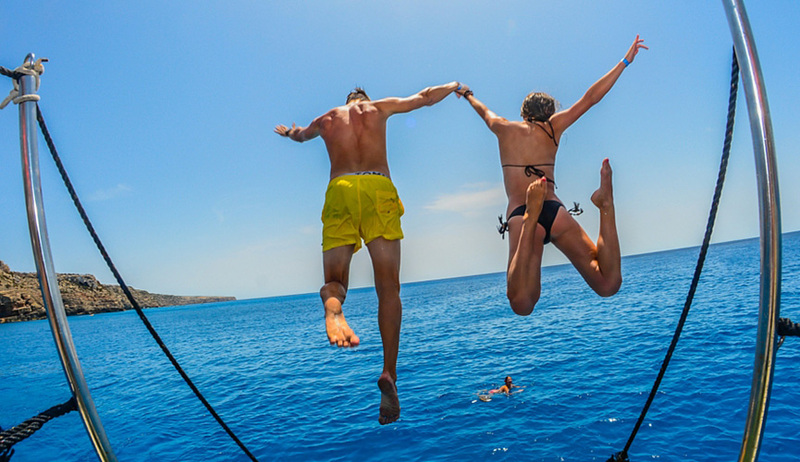 Magaluf Booze Cruise is the longest running Magaluf boat party in Mallorca. Out of all the daytime Majorca events we promote the Magaluf Booze Cruise is by far the most popular. This boat party is an absolute sell out for people every year so be smart and get your ticket now! In 2016 the booze cruise Magaluf went out on the sea 74 times and summer 2017 is set to be the biggest yet. This year the parties will be running from May right through the summer to October! You have no excuse not to get on the boat cruise people! Before you get on the boat you’ll be at the pre-party where the drinks will be flowing and the games just beginning. Once you’re ready for the sea we’ll get you on the boat and anchors away! The team on the ship are super professional and know just how to have fun while keeping you safe. This is undoubtedly the best Magaluf boat party for you and mates to jump on this summer. While on board you get the chance to take part in the games or kick back and soak up the sun while others go crazy. All day the latest Magaluf tunes will be rocking across the waves as the DJ’s fire out tune after tune so loud that even the beach can hear them! This is a great day out for all especially stag and hens who get special attention in the booze cruise games! You’d be mad not want a fun filled day on a fine boat in the middle of the gorgeous big blue sea. The booze cruise Magaluf is exactly what you’ve gone on holiday for. See you there! What’s With The Magaluf Booze Cruise Ticket? Where Is The Booze Cruise Magaluf? On the sea! We meet at Coco Bongos at 2pm and then off we sail around the coast of Magaluf Beach. Every now and then drop anchor so you can dive into the drink (the blue one!) and cool down. Can I Get My Tickets Now? Of course! It’s super simple. Select your date, choose deposit or full payment and click Buy. Then checkout, pay and receive your tickets immediately via email! Looking for something a little bit different? 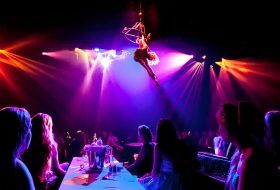 Check out the Pirates Show Magaluf for an insane night of acrobatics, food and drink! 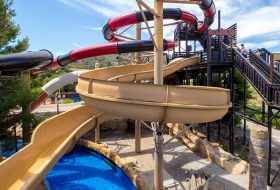 The Western Water Park is a great day our for families, friends or in fact anyone looking for some fun on the slides and pools of this fantastic Magaluf based water park. Pirates Reloaded is the adult version of Pirates Adventure. It's a festival, a concert, a show and a club all in one. Incredible event not to be missed!